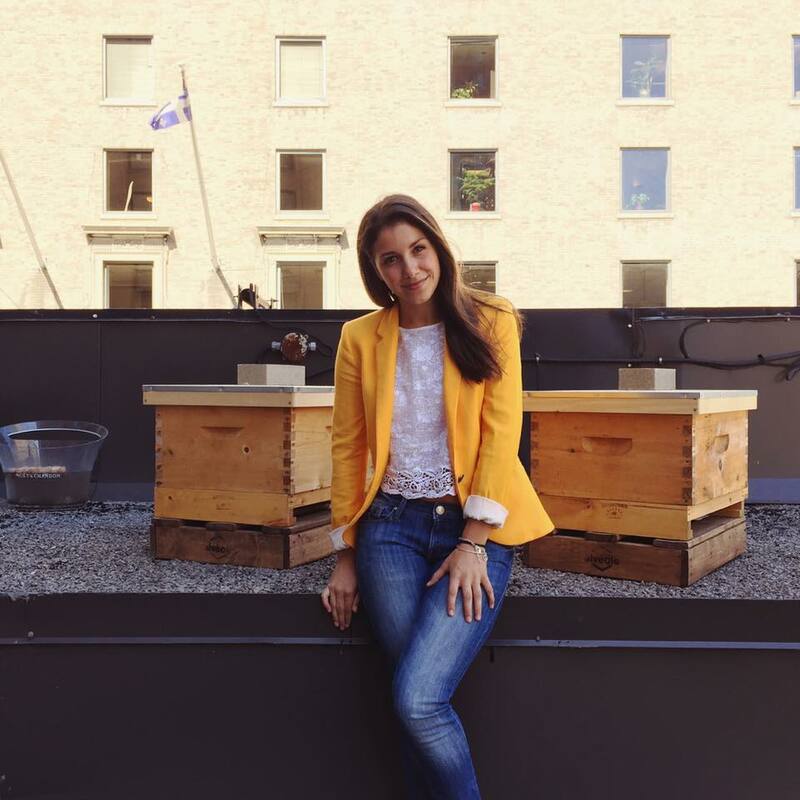 The Ferreira Rooftop Is Home to 2 Beehives! I was very interested in working with Alvéole, a Montreal company that guides individuals and organizations in beekeeping and honey production. Thanks to our collaboration, Ferreira has had 2 beehives on its roof since spring. To me, the decline in the Quebec bee population is very concerning. These foragers are a vital link, since they pollinate 70% of all the flowering plants in the world, thereby contributing to the survival of many plant species. I feel that it’s our duty as participants in the restaurant industry to help bees survive and to raise awareness of the issue among Montrealers. I hope the Ferreira bees stay with us for at least the next 20 years.